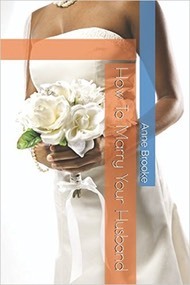 How To Marry Your Husband is published by Anne Brooke Books. Most romantic novels end with a kiss. This one starts with one. 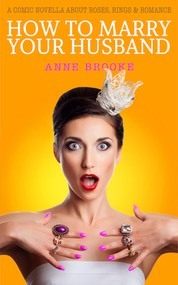 When Olivia asks Kieran to marry her on Leap Year Day, the answer isn’t quite what she’s expecting. Still, even reluctant fiances will eventually understand what’s best for them, and Olivia is plunged into a summer of scary dress shops, mad mothers and bad hair days. VERY bad hair days. Will Olivia be able to negotiate her way through the marriage minefield whilst keeping her sanity almost intact, and can she ever be truly prepared for the perfect day of her dreams?